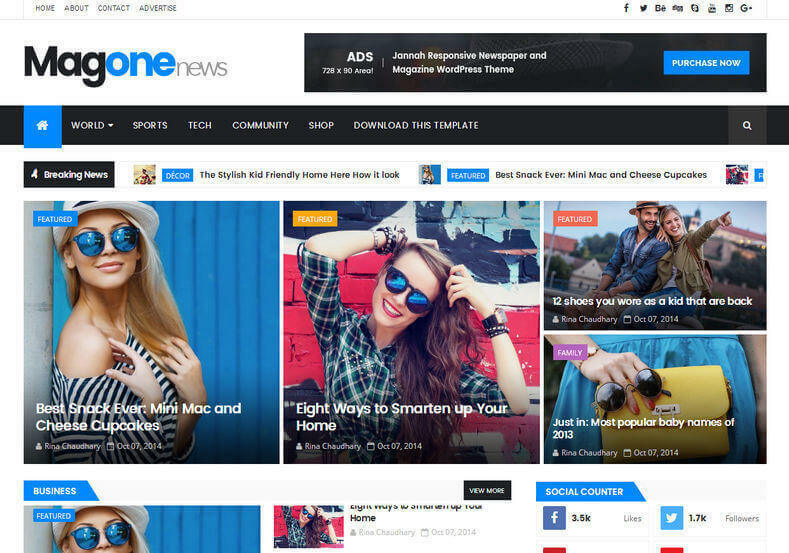 Magone Responsive Blogger Template is one of the best stylish magazine template for your blog. You can use this template for many niche like news, games, technology blog or magazine blog. This theme will help you to get more ad exposure with low bounce rate. If you are looking for something unique for your blog, then may be this theme is best option for you. Blue, Magazine, Responsive, News, Email Subscription Widget Ready, Social Bookmark Ready, Browser Compatibility, Post Thumbnails, Drop Down Menu, 3 Columns Footer, 1 Right Sidebar, 1 Sidebar, 2 Columns.